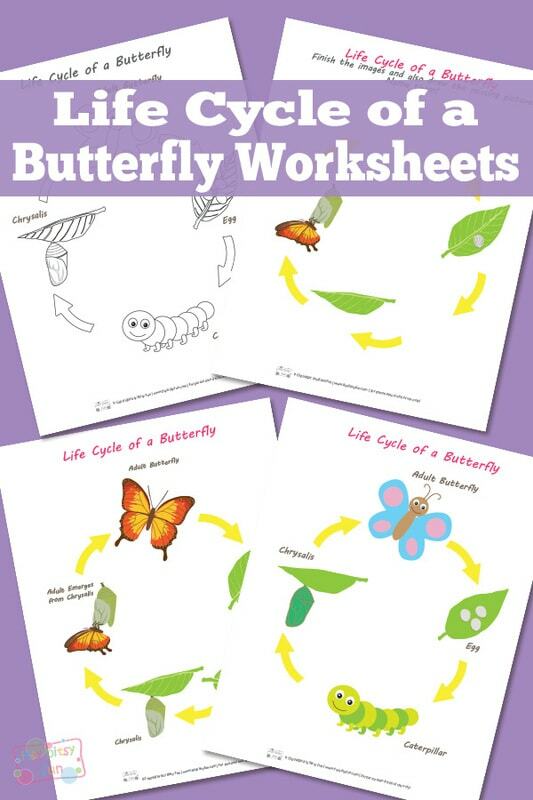 Print these Life Cycle of a Butterfly Worksheet and let’s do some learning! I had a “pet” butterfly as a kid. Well not in the traditional sense – one day a butterfly landed near me while I was eating ice cream. I put some on my finger and slowly approached the butterfly. He climbed on my finger and ate the ice cream. From then he was sticking with me like glue (hence I named him “Glue”). When I threw him in the air he would fly around and then land back on me (can you imagine the excitement?!?). When I went to sleep he was waiting for me outside and first thing in the morning he was glued on on me. Until a spoiled brat nephew of my neighbor came visiting and decided butterflies must be stomped on. He didn’t manage to stomp on it but after chasing him for a while the butterfly got the message and flew away… Forever. I was heart broken but left with an amazing experience I’ll remember forever. But enough of the sentiments! Let’s do some learning! So as I said there are quite a few different versions available for you to choose from. I’ve even made two sets of graphics – cute and realistic to cater different age groups. So first we have a realistic and cute life cycle with all the stages pictured and named. So not really a worksheet. A fun and free printable to help them learn. Then there are two with all the info but that kids have to color. Now we rinse and repeat all these with images and no names. There are also quite a few different versions of both cute and realistic butterfly life cycle worksheets where kids have to draw in the missing stage of the cycle and name it. You know, something to also let them be a bit creative. 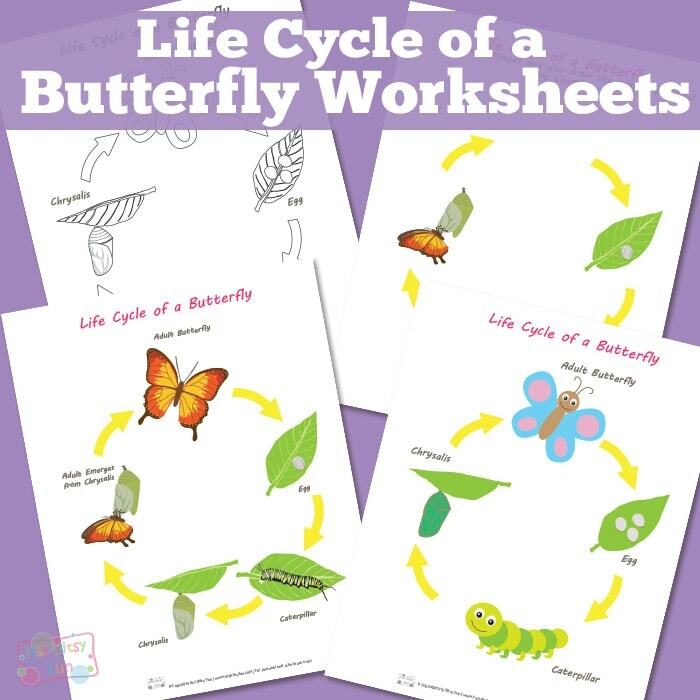 Get your free printable Butterfly Life Cycle Worksheets here. Love learning about life cycles? Do check the frog life cycle worksheets too!